Singapore is on its way to becoming a favoured drinking destination as the city-state is home to some of the world’s best bars, a recent global ranking has shown. The small Southeast Asian country looks to become Asia’s undisputed cocktail capital as six of its favourite watering holes have made it to the 2017 World’s 50 Best Bars list, according to SG Now. The number of the bars that made the cut was three more from last year’s list, with Regent Singapore’s Manhattan breaking into the top 10 at number seven from 11th place last year. The success of Manhattan has been attributed to its recognition as the number one bar in Asia’s 50 Best Bars 2017. “From the second you enter the supremely grand surroundings, impeccably furnished with leather and heavy drapes, the first thing that strikes you is the sense of destination about the place,” read the ranking’s description of the bar. Now in its ninth year, The World’s 50 Best Bars provides an annual ranking of bars as voted for by more than 500 drinks experts from across the globe. 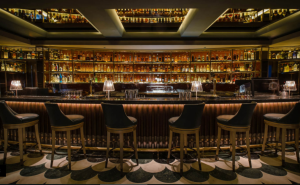 Apart from the Manhattan, the highest new entry at number 15 is Atlas, a Gatsby-esque bar housed in the over-the-top Art Deco building in Bugis, while the Tippling Club, has returned to the list at 31st place. Operation Dagger, which made it to the list last year at 21st place, dropped to 24th, while newcomer Native has been placed at number 47. 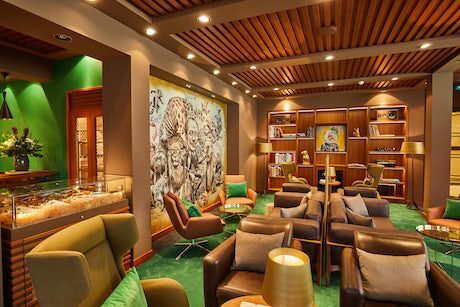 The post ‘Cocktail capital’ Singapore is home to some of the world’s best bars appeared first on Travel Wire Asia.